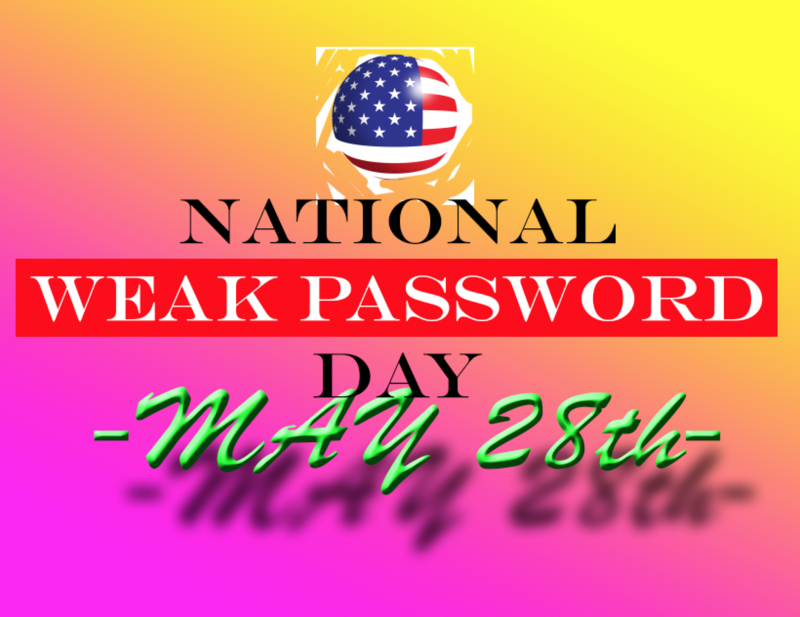 MAY 28TH is now officially NATIONAL WEAK PASSWORD DAY for all americans! Enjoy total access to every celebrants email, bank account, hbo go, craiglist, manhunt, ok cupid, grinder, Facebook and wikipedia accounts!!!!!! !